Want better performance from your Google Ads account, with less time managing it? Click the button below to get the top 10 tools and tricks we use to save management time while increasing ROI for our clients. It was almost 10 years ago. Search ads and SEO were going to get destroyed by social media marketing, the article said. No one was going to use Google anymore. But you know what actually happened? People search online for products and services way more today than they did in 2008. 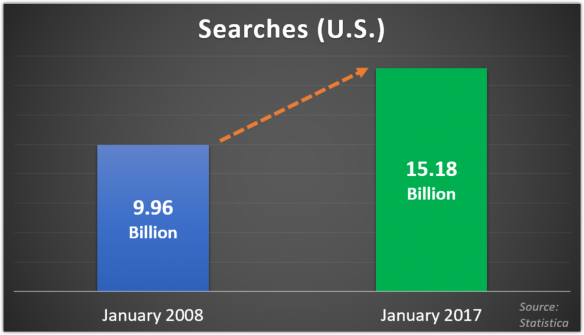 Google gets trillions of searches per year now. Google and other search engines are driving a LOT more customers and revenue today than ever before. But it's also gotten more competitive. Over 90% of the time that people search on Google, they stop on the first page. That makes it more important than ever to advertise with Google Ads to guarantee you'll be seen. So if your SEO is weak, you'll miss out on the majority of traffic. But with the right techniques, Google AdWords and SEO are more powerful now than ever. Features like remarketing allow you to remind non-buyers to come back to your site to make a purchase. Video ads allow you to attract massive audiences with pinpoint targeting, on YouTube and elsewhere. And conversion tracking improvements have made it super easy to see exactly how effective your marketing is. 1. We increase our clients' traffic & revenue. 2. We teach you the strategies we use, so you can increase your own. But how well do those strategies work? Here's just one quick example. 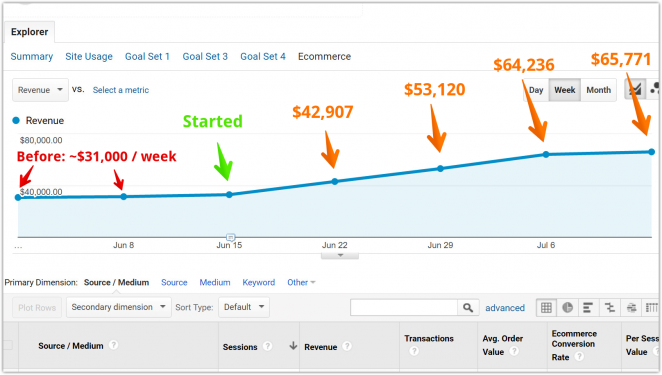 By implementing some basic AdWords and SEO techniques for this client, we were able to increase their sales by $34,771 per week. Or if your budget is at least $30K/mo and you'd like some hands-on help, click here to get in touch for an agency quote. The techniques we use and teach are repeatable, scalable, and can be applied to just about any business. Sign up to our free email list and start learning to improve your results today. Copyright © Blue Mint Marketing 2019. All Rights Reserved.